The road to full automation crosses two uncharted territories: the conditional (SAE 3) and the highly automated (SAE 4) levels of automation. In both cases, road users and vehicles need to co-exist and collaborate in both trivial and critical driving tasks. As long as automation is seen as a comfort element in “soft” traffic scenarios (such as parking or traffic jam assistance), user acceptance remains high. However, its spread to the “full” driving task often meets with scepticism and mistrust by a large percentage of road users, especially drivers. The issue may be resolved through the introduction of “adaptive driver assistance”, where automation would be seen on the one hand as the “saviour” of a fatigued, overloaded, stressed or simply inattentive driver; and on the other hand as a driving “companion” providing advanced comfort functions but still keeping the driver in the loop. The ADAS&ME EU-funded project is developing complex systems that will acquire and fuse data from heterogeneous sources (driver state and emotions, vehicle generated data, and data from the environment surrounding the vehicle, i.e. 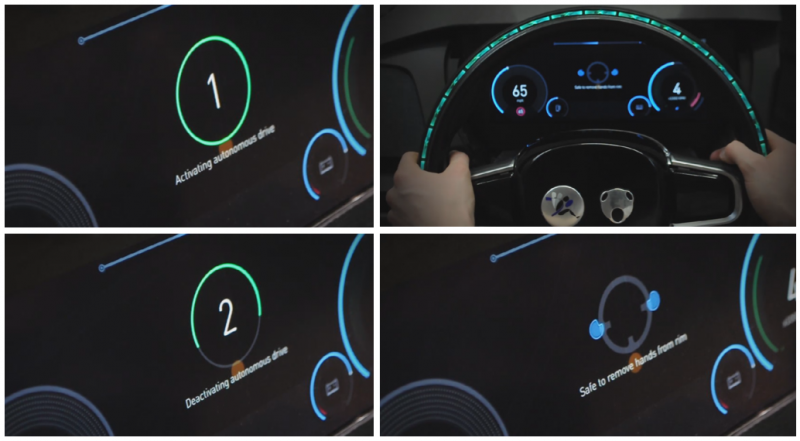 other vehicles and road users) and implement customized HMI towards smooth handover of the driving control task between autonomous system and conventional human-driven (manual) mode. ADAS&ME is structured around concrete Use Cases that will be implemented in demo vehicles and/or simulators with the ultimate goal to build the necessary level of trust in drivers in increasing levels of automation. We encourage you to engage in a fruitful discussion and start contributing today by joining the ADAS&ME LinkedIn group.